Nest Hello was announced back in September, and availability was set for Q1 2018. We're nearing the end of Q1, but Nest has made it within their target period. The Hello comes with an HD camera that records 4:3 HDR video, night vision capabilities via IR illumination, and two-way audio. It costs $229, and pre-orders came with a free Google Home Mini. The Nest x Yale Lock. The oddly-named Nest x Yale Lock is slightly more interesting, having been delayed for nearly two years. It differs from other smart locks in that it doesn't have a backup keyhole, which Nest is pushing as an advantage as you won't have any keys to lose in the first place. 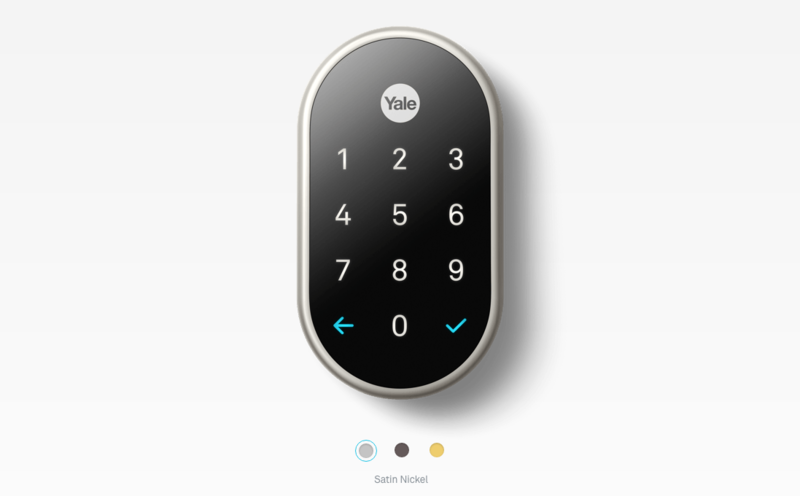 As you might have guessed, Nest partnered with Yale for this lock, and it's integrated with Nest's ecosystem. It comes in at $249 in three finishes: Satin Nickel, Oil Rubbed Bronze, and Polished Brass. Nest Connect, which is required to use the Nest app to remotely unlock your door and get alerts, is an extra $30. The Nest Temperature Sensor has also been highly-anticipated since different rooms in houses can often have different temperatures. Just place one of these sensors somewhere in the room, choose an ideal temperature, and your Nest thermostats should theoretically take care of the rest. Up to six sensors can be used in one home. A single sensor can be purchased for $39, or you can grab a 3-pack for $99. A 3rd-gen Nest Smart Thermostat or a Thermostat E is required, and you can actually save a little money on a sensor if you purchase it with a 3rd-gen Smart Thermostat (save $20) or a Thermostat E (save $10). Do note that this product is in the pre-order phase; these are expected to begin shipping out in April. 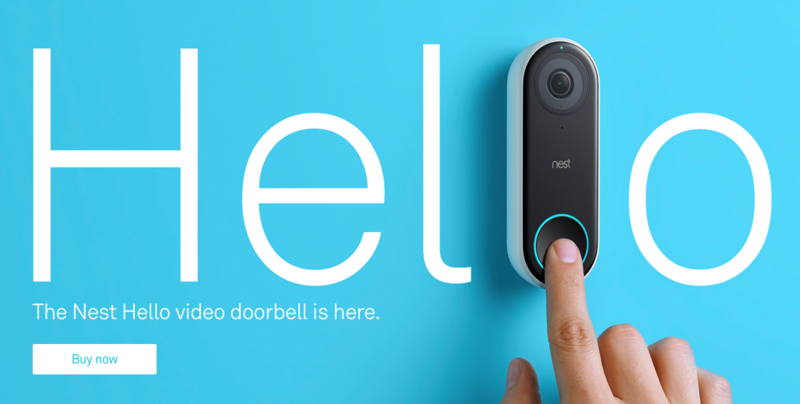 The Nest Hello, Nest x Yale Lock, and Nest Temperature Sensor are all live on Nest's site. With the Nest Hello now shipping, the Google Home has gained support for doorbells. You can check how to set up a doorbell in the Home app and livestream it to your TV, and how to specifically use the Hello with your Home to let it announce visitors on the smart speaker. For now, only the Hello seems to be properly recognized as a doorbell as the documentation for device types doesn't mention that device type yet.